We have been getting around on bicycles for just over 200 years. Since then cycling has built up a rep as one of the better ways to keep your health in check as it provides a solid cardio workout for the entire body. If you beg to differ, why don’t you have a chat to some of the cyclists who just finished pumping out The Tour De France. 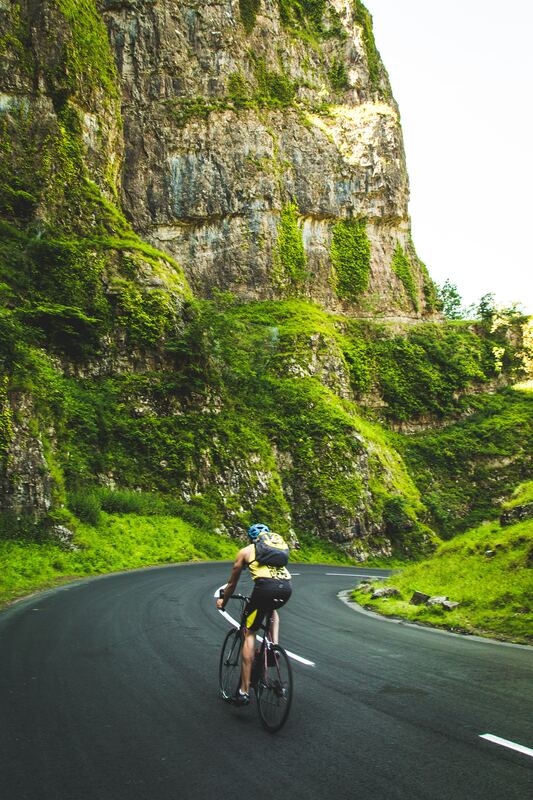 While your chatting to your mate from The Tour De France you’d also find that with the pros of cycling there are cons too. According to a recent study; neck, knee and lower back injuries are a common occurrence in the cycling community. 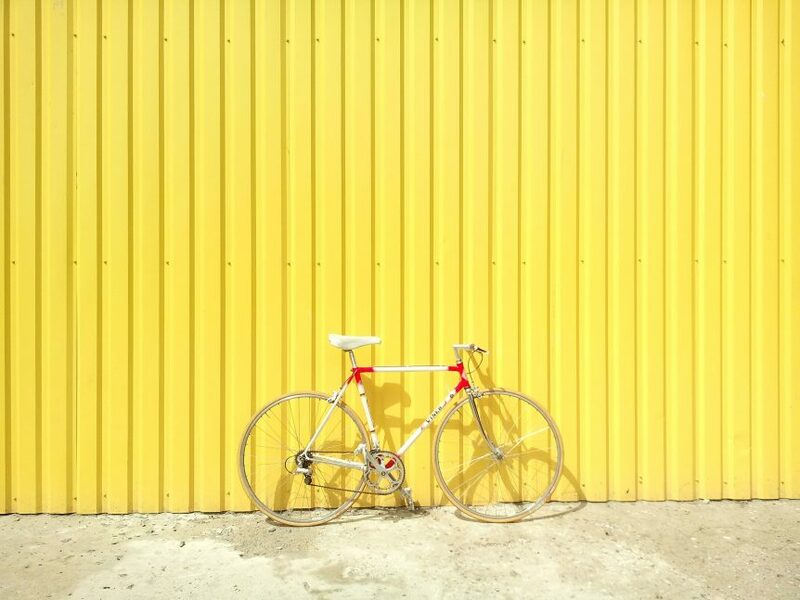 In the spirit of the final leg of Le Tour De France we have put together a little bite size info pack on neck, knee and lower back injuries that might sneak up on you when riding that push bike of yours. Many cyclists suffer from neck pain due to having improper form when cycling. Tightness in your shoulder muscles otherwise known as the upper trapezius muscles are often the culprits behind your neck pain. Your head weighs a lot more then you think and these muscles often get fatigued holding your head up in extension. The following exercises will help strengthen your rhomboid and lower trapezius muscles aka your scapular muscles. Why do you want to strengthen these you ask? Engaging your scapular muscles will not only improve your head posture but reduce the fatigue in your upper traps ultimately taking the pressure off your neck. Keep your shoulders back focusing on opening your chest. This position is called the ‘on bike’ position. Draw your shoulder blades together and downwards by focusing on engaging your scapular muscles. At first it will feel a little uncoordinated and you’ll have to really focus on the muscles you are trying to activate. Hold for 5 seconds and with the utmost control let your shoulder blades move apart. When performing these exercises, it is super important that you maintain an anterior pelvic tilt to mimic the action used when riding a bike. Cycling really flogs the knee joint if you aren’t equipped with the right set up, flexibility or gluteal strength. The position that your feet and knees are in will influence the amount of pressure you put through the knee joint. As cycling requires repetitive push-pull maneuvers you really want to make sure you aren’t overloading any of the ligaments, meniscus or muscles that make up your knee. Gluteal strengthening exercise like the one performed below will help you maintain the correct posture when cycling. By neglecting your glutes you are more vulnerable to knee injuries due to having a lack of stability with each peddle of the bike. Strength imbalances in cycling can result in the overloading of one leg and can transfer to the other regions of the body. Grab your resistance band (you can purchase one of these from the clinic) and place it on the ball of your foot. Engage your core and get back into our ‘on bike’ position. Check in with your core for good measure and slowly take your foot off the floor and bend your knee. Push into the theraband as if you are cycling. This will activate your powerhouse muscles to ensure you get the most out of every pedal while also reducing your risk of injury too. The aggressive forward position you take on the bike increases the stress the goes through your spine. Spending an extended period in the same position puts pressure on your spinal joints, muscles and ligaments. Often it isn’t until you’ve finished riding that you begin to feel your back make ache. A recent study, revealed that when cyclist pushed their limits by pedalling to exhaustion, their hamstrings and calf muscles became fatigued. Muscle movement patterns changed and the degree to which the cyclists were bent over on the bike was increased. As we’ve discovered the further you flex forward the more pressure you put on that lumbar spine (lower back) of yours. Evidence suggests, a simple solution to avoid lower back pain is to strengthen the surrounding muscles such as your core. If your core is strong it will help prevent impaired movement patterns and support your lumbar spine when the pedalling gets tough. When it comes to working on your core fitness you really cant go past the plank. Sports Chiropractic: Dr Grace is our sports chiro who is skilled in the diagnosis, conservative treatment and rehabilitation of the neuromuscular skeletal system. 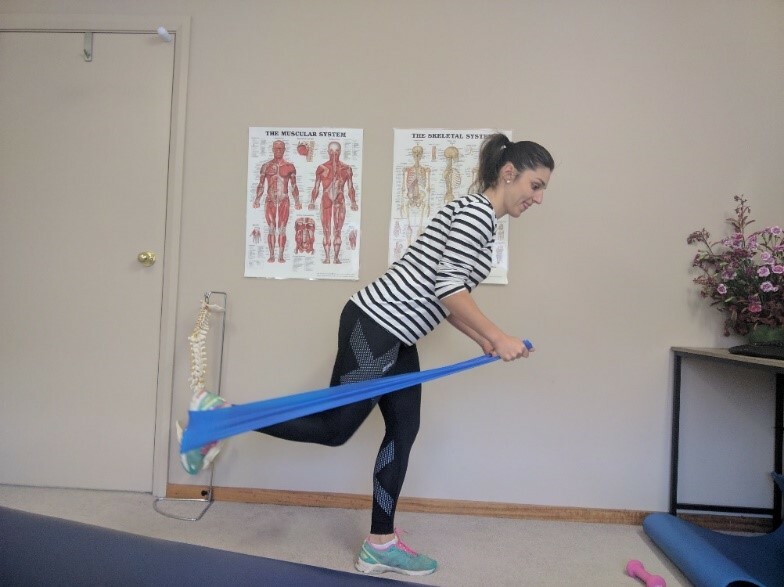 She is able to provide injury management, facilitate injury prevention and is happy to work with your coaches and trainers too. Dry needling to deal with your stubborn trigger points. Dry needling also helps manage tendinopathy that often arise in the achilles, patellofemoral and gluteal tendons of cyclists. Kinesio taping: to help support your lower and upper back or act as proprioceptive reminder to activate those scapular muscles. Functional Biomechanical Investigations (FBI) where Dr Grace will identify your dysfunctional movement patterns that may be contributing to your injury. Clinical Pilates classes that are tailored to your needs, these classes focus on strengthening and conditioning exercises like the ones Dr Grace has demonstrated above.